Human Resource function is very important in any form of business. By human resource, we are referring to the human element of the business. There's no business that doesn't require the presence of human resource management for it to achieve its objectives. In fact, all business, small or large, new or old, need human resource management for it to continue to exist and grow. Just like the heart supplies your body with blood to enable it to live, the human resource or personnel function supplies the business with people to enable to do business continuously. The main objective of Human Resource Management, therefore, is to make sure that a business employs the right number and type of employees at the right time. The orientation which means introducing the new employees to the business, its procedures, the work environment and to all the other employees. 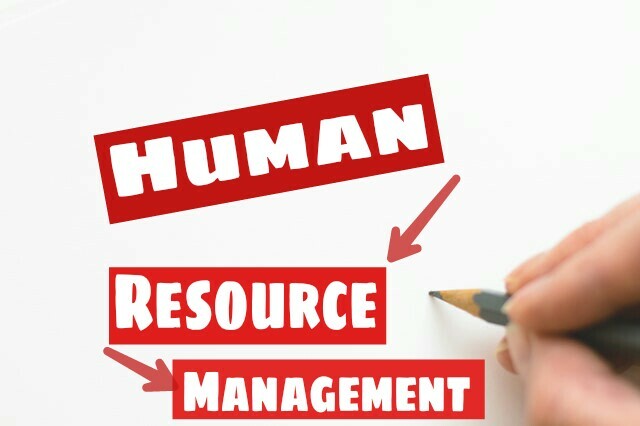 Human Resource Management can be defined as that aspect of mana that deals with the procurement or acquisition, utilization, maintenance and separation of human resource aspect of the business. It involves employing, utilizing, developing, motivating and maintaining the human resource of the business in order to achieve business objectives. To ensure proper development of employees. Manpower Planning: This involves the determination of the type and number of people that are needed for business to expand or continue to exist productively. It's the process of ensuring that business has the right number of people with the right skills at the right time. Employment: This involves recruitment, selection, and placement of workers. Recruitment means seeking and attracting potential employees while selection means choosing the most suitable person for a specific post. Training and Development: This involves updating the skills and knowledge of workers for better job performance. Training is the systematic process by which the employees acquire knowledge, skills, aptitudes, and information development. On the other hand, is the p whereby manager acquires the necessary experience, management skills and aptitudes to function successfully as managers. Salary and Wage Administration: It's the responsibility of the personnel manager to ensure that employees are adequately and equitably remunerated. This involves making sure that what they are paid commensurate with the services they render to the business. Staff Discipline: This involves making sure that the employees obey the rules and regulations of the business or organization. There are different ways erred employees can be disciplined, namely oral warning, written warning, demotion, loss of privileges, suspension, and dismissal or summary dismissal. Performance Appraisal: This is a periodic and systematic assessment or evaluation of employees' performances for the management decision making. Personnel Administration: This personnel division is responsible for thorough record keeping of all relevant human resource data such as age, qualifications, etc and each person's service record in the business organization, including promotions, merits, transfers, etc. This is necessary for management decision making concerning the employees. Labour Relations: Labour relation are concerned with the creation, maintenance and administration of rules, control process, ideologies, interactions, and relationships in the workplace. Integration: This involves effecting a reasonable reconciliation between an individual interest and organizational interest. The organizational interest should not suppress the individual interest. Provision of Good Working Conditions: It's the responsibility of the business to provide essential working conditions that are pleasant and safe for employees to be motivated and productive. Orientation or Induction: It's a process whereby new employees are first introduced to the business, its procedures, environment and work situation and, secondly, to their coworkers, subordinates, and superiors. It motivates the new employees, makes them happy or excited and puts them at ease. Human Resource Planning is also called manpower or personnel planning. It's defined as a strategy for the acquisition, improvement, and retention of an enterprise's human resource. Essentially, Human Resource seems to address two basic questions: first, how many people, and second, what sort of people? It addresses business human resource needs both in quantitative and qualitative terms. To improve the utilization of people by introducing a more flexible system of work. Human Resource Inventory: Here, you are to take the statistics of the current employees in terms of skills, experiences, qualifications, and other factors. Human Resource Forecast: You are to determine the future human resource requirements also in terms of skills, experiences, qualifications, and other factors. 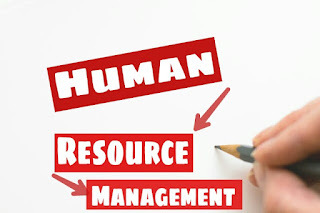 Human Resource Plan: At this stage, you are to compare the over human resource needs to the current inventory of staff to determine net human resource n and develop a human resources plan so as to match the supply of labour with the estimated demand. The decision may be to reduce or increase the staff strength of the business or to train the current employees. The above steps are what you need If really you want to run your business into a success. Just follow the above SuperEasy Ways To Learn Everything About Human Resource Management. If you are confused about anything on this topic, feel free to ask via comment box I will surely reply.